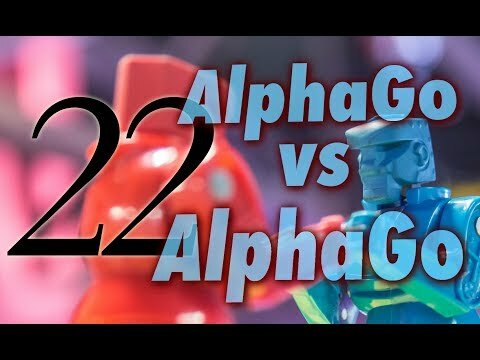 AlphaGo vs. AlphaGo; Game 22: A big upheaval, plus Redmond in DC! 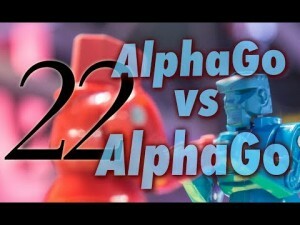 AlphaGo’s self-play game 22 features a big attacking game for black, “and it’s interesting to see how white handles these attacks,” says Michael Redmond 9P in his latest game commentary, hosted by the AGA E-Journal’s Chris Garlock. “And then when it looks like the game is settling down we’re going to see a big upheaval that takes another 120 moves to resolve. And in case that’s not exciting enough, then there’s a big ko fight.” “Absolutely beautiful game,” says viewer GerSHAK. “Beautiful to watch it almost settle and then spill all over again, haha,” adds oncedidactic. Redmond will be at the National Go Center in Washington DC this weekend for a series of events, beginning with an AlphaGo commentary with Garlock at 7:30p on Friday night (RSVP here). Then on Saturday he and Garlock will do live commentaries on Twitch on the top-board games at the NGC’s Fall Open (register here), wrapping up with an 11a game review brunch on Sunday morning (register here). “Don’t miss this rare chance to see Michael Redmond — who’s coming all the way from Japan — in person!” says NGC Executive Director Gurujeet Khalsa. “We’re especially excited to have Michael here to help launch our brand-new E-Journal broadcast facility this weekend,” said Garlock.